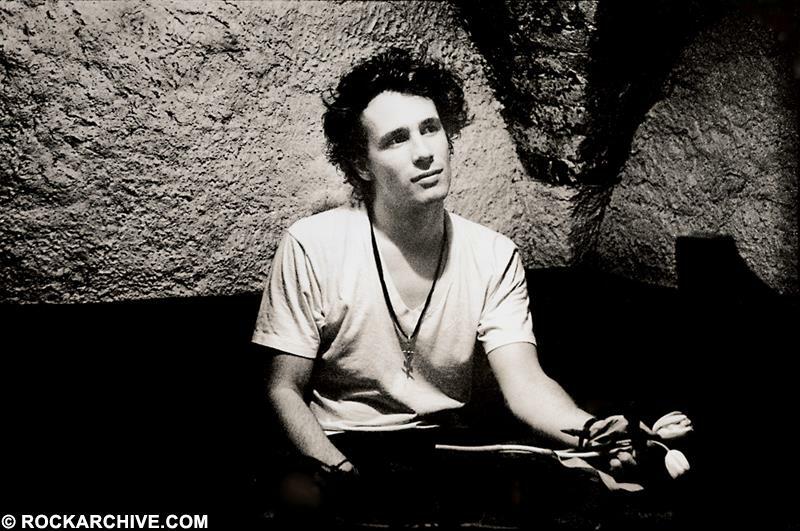 Jeff Buckley 1994, soho, london. Musically, my favourite gig of 1994 was Jeff Buckley at Bunjees coffee house. l’d never heard of him, but he was so highly recommended by Daniela Soave from a previous gig, that I made an effort to go to Leicester Square on a cold, rainy night. My choice of camera was a 1954 Leica M3, ideal for small places because it is virtually silent and very discreet. The tiny cafe was packed. I asked Peter Cadle, who runs the modest folk club, which one was Buckley. He pointed to a sweet-faced man in the corner who I approached. I introduced myself as a professional photographer and asked if I might take his portrait. ‘Not now, let about to go on, but after the gig will be fine’ he said, smiling enchantingly. Within seconds i was approached by a gentleman who S aid he was Buckley’s manager. With a face like thunder, he asked who I was and who I was shooting for. A female representative from the British record company came to my rescue. She explained that I was a bonafide press person of good standing. Unimpressed by my credentials, the manager told me in no uncertain terms that his company, De-el Entertainment Inc, Music Management Consultants of New York, didn’t want their artist being photographed by the likes of me; they had their own photographers. Quite a palaver for a brand new artist playing a 40-seat venue, I thought. After some prompting, the man from De-el grudgingly informed me that I could shoot three numbers of the show. Then quickly, before the man from De-el appeared, I reminded Buckley of his promise to let me take a portrait. He glanced furtively at the door, then beckoned me into the empty club. ‘Be quick’ he whispered urgently. By the light of a single bulb I snatched this portrait. At another Buckley gig some months later, my cameras were confiscated when i refused to sign a restriction contract on the spot. These two incidents are indicative of the current state of the image business. Rock photographers of the 1990’s need to travel with their lawyers to guide them through the minefield of copyright restrictions, not only from record companies, but also from publications, artists and managers. Budding rock photographers still write to me asking how to get started. The best way of all, I often advise, is to find a new artist or band that you like and to photograph them in the smaller venues. If they like the pictures, photographer and musicians can team up to produce a unique set of images beneficial to both parties. But if this genuine approach brings the sort of treatment I received trying to photograph Jeff Buckley what chance is there for young hopefuls?